Delta today announced it will cancel service this fall from New York-JFK to Tokyo-Narita, and from Tokyo-Narita to Osaka and Bangkok, but remains committed to supporting a strong Asia-Pacific network. The announcement comes a few weeks after the U.S. Department of Transportation tentatively awarded Delta daytime service from Los Angeles and Minneapolis to Tokyo-Haneda. Delta is tentatively slated to receive two of the five available daytime trans-Pacific HND frequencies available for U.S. airlines as part of the new aviation agreement between the U.S. and Japan that limits such access to Tokyo’s Haneda airport. Tickets for the new route will not be sold until Delta is granted final DOT approval. 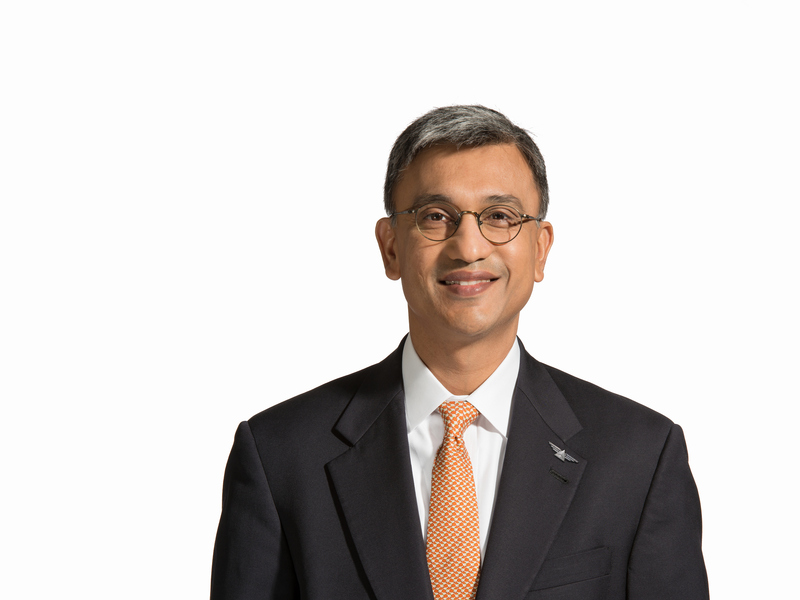 Delta News Hub talked with Vinay Dube, Senior Vice President – Asia Pacific about the impact of the U.S.-Japan agreement that resulted in Delta being tentatively granted two of the five available daytime frequencies for U.S. carriers. Dube also discussed Delta’s plans to remain a strong player in the Asia-Pacific region. Delta News Hub: How will Delta’s Asia-Pacific network change based on the outcome of the Tokyo-Haneda route case? Dube: Delta has closely analyzed the frequency authorities the DOT tentatively awarded at Haneda in the context of the significant advantages our competitors and their joint venture partners enjoy as a result of the aviation agreement between the U.S. and Japan. Given this, we had to make the difficult decision to cancel service from JFK to Tokyo-Narita, and from NRT to Osaka and Bangkok to ensure Delta’s long term success in this fast-growing region of the world. Delta remains committed to growing and strengthening our Asia presence over the long term, and we are optimistic that the DOT will issue a final award for Delta to operate LAX and MSP service to HND. In the meantime, cancelled markets will be served by at least one of Delta’s codeshare partners. DNH: What is Delta’s Asia-Pacific go-forward strategy? Dube: Asia is among the fastest-growing business regions in the world, and is important to our customers. Our go-forward strategy here includes mitigating the impact of the U.S. and Japan governments’ agreement by reworking our Asia-Pacific footprint to one that primarily supports direct flying between the U.S. and Asia, while maintaining some interport and Micronesia flying. We will also continue identifying opportunities to expand in Asia – our application for LAX-PEK service is just one example. Delta remains committed to growing and strengthening Delta’s Asia presence over the long term. DNH: How will Delta customers continue accessing points across Asia, and beyond Tokyo? Dube: Delta will continue to fly to Tokyo via Narita from Seattle, Portland, Detroit and Atlanta, and via Haneda from Los Angeles and Minneapolis, pending DOT final approval. We will also continue flying from Tokyo-Narita to Shanghai, Taipei, Singapore and Manila, while our service to resort destinations of Hawaii, Guam, Saipan and Palau will also be maintained. And just as we do with a number of cities where Delta doesn’t fly, our extensive partnerships in Asia including China Eastern, China Southern, Korean Air, China Airlines, Vietnam Airlines and Garuda Indonesia strengthen Delta’s footprint in the region and provide access to more than 300 destinations across Asia. DNH: If Delta received two of the five frequency authorities at Haneda available to U.S. airlines, why are you cancelling flights? Dube: Without a significant network restructuring, Delta’s position in the region would be significantly weakened. The Haneda agreement between the U.S. and Japanese governments restricts trans-Pacific daytime access to the Haneda airport, giving an unfair advantage to other U.S. carriers that have Japanese joint venture partners – American with JAL and United with ANA – to which they can easily connect customers for flying beyond Tokyo-Haneda. Japanese carriers have been able to build extensive Asia networks from Haneda over the past decade while the airport has been run primarily as a domestic hub. Now Japanese carriers and their U.S. joint venture partners will be able to easily access those networks through the eight of 12 trans-Pacific frequencies awarded to carriers of both countries. Until this agreement, U.S. carriers were only allowed daytime access to Tokyo’s international airport at Narita, located nearly 40 miles from central Tokyo – a much less desirable location compared to Tokyo-Haneda airport located minutes from the city’s business district. Delta has long held that the U.S. government should insist that the Tokyo-Haneda airport be fully opened for competition – like all other international airports in countries with which the United States has Open Skies agreements. By forcing Delta to maintain a split operation in Tokyo with operations at both HND and NRT, valuable traffic will be syphoned away from Delta’s remaining NRT flights to competitors’ more convenient HND flights. Delta has made tremendous strides in improving the profitability in the Asia-Pacific region over the past several years, and these network changes are part of our commitment to growing and strengthening Delta’s Asia presence for the long term. DNH: What can Japan customers expect as a result of these changes? Dube: Delta remains one of the largest carriers offering service between Japan and the United States. Customers will continue to benefit from our extensive networks served via LAX, SEA, PDX, MSP, DTW and ATL from Japan. We also plan to “up gauge” daytime HND-LAX service to a 777 aircraft in order to provide more capacity to the largest Japan-U.S. market. Customers traveling from Japan will also benefit from the HND-MSP route if approved by the DOT, which would provide easy connections to the midwest and east coast of the United States. DNH: Will there be an opportunity for Delta to gain additional daytime frequencies at HND in the future? Dube: Parameters around the opening of additional Tokyo-Haneda daytime frequencies remain unclear and are not part of the agreement signed in February by the U.S. and Japanese governments.